Immune Strength Essential Oil Blend presents a very strong, deep, herbal aroma with spicy overtones and a hint of citrus. The elements in this blend contain incredibly therapeutic, and natural disinfecting and cleansing properties. Immune Strength Essential Oil Blend is part of the Rocky Mountain Oils Wellness Collection. 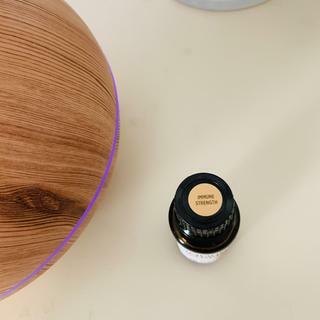 Use this blend to support a healthy immune system, assist in cleaning the air in the home, and strengthen feelings of calm and comfort by adding it to a diffuser or personal aroma inhaler. You can even add Immune Strength to your DIY cleaning products to help purify counters, sinks, and others surfaces in the home. Did you know that our Ava Shield Hard Surface Cleaner and Foaming Hand Soap include our Immune Strength Essential Oil Blend? These Ava Shield products are ready to use, and they make cleaning with Immune Strength simple by replacing commercial cleaners and soaps. 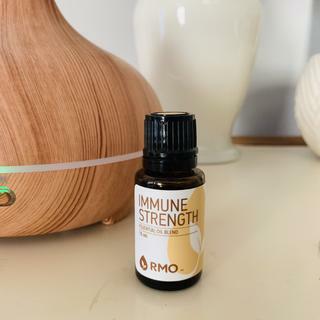 Immune Strength Essential Oil Blend: Clove Bud, Cinnamon Bark, Lemon, Orange, Oregano, Mandarin, Thyme, Rosemary, Nutmeg, Ginger Root, and Eucalyptus citriodora. Combine all ingredients in a ziplock-type bag. Seal and massage the bag until the essential oils are thoroughly mixed in. Lightly sprinkle the mixture over your carpet or rug, and leave it for 10-15 minutes. Vacuum, and enjoy your fresh and clean carpet! To store your carpet cleaning powder, pour mixture into a glass jar, and seal it with the lid. Combine all ingredients in a 4-oz glass spray bottle. Shake very well before each use. Spray all around the room to assist in cleansing any airborne germs, and to provide an intensely fresh, clean-smelling home. Put on a pair of socks, and let the blend absorb into the feet. Make sure to wash hands thoroughly after. Immune Strength Essential Oil Blend contains "hot" oils. We suggest that you dilute this blend with a carrier oil before applying it topically. For a prediluted option, check out our Immune Strength 10ml Roll-On. Avoid topical use and direct diffusion with children under the age of 10 years. Check out our Kids Line Immunity Essential Oil Blend for a child-appropriate immune support blend. Love it! The smell is wonderful. Love the smell and it defintley seems to keep us goi ng strong! This was my first time ordering from Rocky Mountain Oils and I love it! Ive been enjoying this oil as it has helped my family with allergies, plus the fragrance is very pleasant. Good addition to oil collection! I like it a lot! I was looking for an alternative blend option for YL's Thieves. This is a good blend, but I wouldn't compare it to Thieves. It has more ingredients. The oregano is an interesting and unexpected twist if your expecting more cinnamon notes. If you don't particularly like oregano choose something else. I diffuse Immune Strength by my bed at night. Seems to help me breathe easier and does a good job of preventing colds and sinus congestion. Very good. Shake it first when it arrives, otherwise you will first smell oregano. Very close to YL thieves. I like it. I love for diffusing and flu and cold prevention! I absolutely LOVE this blend! I switched from Thieves to this. Slightly different smell than Thieves. More oregano undertone but not overpowering! I am very pleased with my oil! It’s high-quality, and the scent is great. I can really notice the oregano, which makes it unique. Love to diffuse frequently! My mom and sister visited us, and they commented on how nice our home smells. I had diffused this oil earlier that day. The packaging was great, as well as the timing of delivery. I also bought the Ava clean, and I love the smell....getting ready to clean now with it! One of my TOP favorite EO's!!!! I feel tons better when using and diffusing this oil blend. For me personally, it's like a shakeup of Thieves and ImmuPower, only it's more affordably priced which means I can use it daily. The scent is fantastic, spicy and herbaceous. I love mixing this with some orange and ginger in my diffusers during the cold season. I feel, in combination with my other regimen, this blend helps me stay healthier all year. Plus, it's a great non-toxic perfume which I receive comments and compliments on, everywhere I go! :) Win win! At the hint of a sniffle, I diffuse this blend on all 3 levels of the house and blend it with witch hazel as a surface cleaner. No germs here! I use it during the cold and flu season to stay healthy. Mix it with a little carrier oil and rub the bottom of your feet with it in the evening. Make sure you wear socks to bed. It's also great to just inhale the oil or add it to your diffuser. Smells like cherry cola. My boys love the sent so they don’t complain about my putting it in everything this time of year. This is a must have for my diffuser and for my kids feet and mine all through the fall and winter.In the summer I use it when I go camping. Love this essential oil combination for cold and flu season! 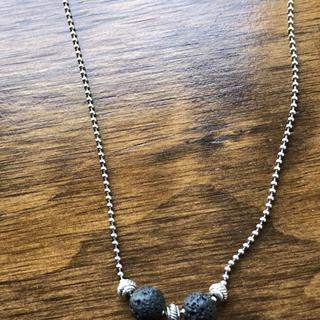 I ordered this as an alternative to Thieves and am not disappointed! We've been diffusing it at my office and nearly eveyone who comes in comments on how nice it smells. Would buy again. Love to diffuse it. Has a “nutmegy” holiday scent. Using on my person is nice too. We defuse this daily and love it! I was a member of a MLM company previously and I have to be honest - as much as I enjoyed the equivalent to Immune Strength, this is much better. The thing that I noticed was the strength of the clove - my favorite. I love this! This is probably my fav essential oil IF I had a fav! I put it on the bottom of my feet every night to ward off colds, flu, etc. I also use it in my homemade toothpaste along with clove bud and peppermint. I love how this blend smells and sometimes diffuse it in my bedroom at night if I feel an attack (anything germy) coming on. Great to have in the winter months!Try it, you'll like it! I purchased this to replace my YL Thieves. Very similar, but definitely smells of Oregano. (Thieves doesn't have oregano in it.) That being said, it is still refreshing to the senses and gives you the feeling of one more tool in the tool belt against germs and viruses. Love love the smell and the feeling that it’s keepint germs away. Smells delicious! I haven't tried it yet but am very excited too!! This blend smells incredible and keeps my immune system chugging along. I took it with me on an overseas trip and kept it with me on the plane. One time someone on the plane smelled really badly, and one time I did too, and both times I just put some of this on and everything was fine. I also put it on the bottom of my feet before sleeping on the plane just to keep my defenses up along the journey. Travel is not a clean experience and I'm very happy to have this little buddy go with me. Love it! Even my husband likes and asks for this when he's under the weather. Love love love this oil! 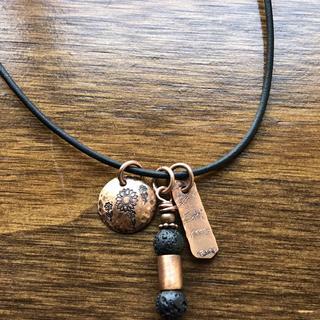 One of my favorites that I diffuse just about every single day. My all time favorite oil!! There's nothing not to love about this oil!! It's got to be my all time favorite!! It smells amazing!! It reminds me of Winter baking! All the spices and the tangerine in there gives it sick a sweet and yummy smell! Plus it has definitely helped us to ward off all those awful flus and colds. I could diffuse this stuff all day. Great scent and it's not overpowering. A little bit goes a long way. Give this one a try! I have used this for a while. I begin diffusing this all day when September begins. 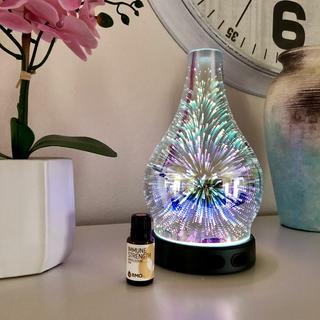 I diffuse it all day in our living room and at night in our bedroom. Seem to help quite a bit. Smells so good! Totally worth getting, you won’t be disappointed! Love using this in cleaning solutions and diffusing! It does have a scent of oregano like others have said, but it is very mild to me. Highly recommend! My body doesn't handle traveling very well, I tend to get sick almost every time I go away somewhere. I started using the travel/mini diffuser during drives, at night, and I always use Immune Strength. It has kept me from getting horribly sick many times, and those rare times I still got sick, I wasn't down nearly as long as I would have been before. Stuff is amazing and gives my system the help it needs. I purchased this product to replace Thieves from Young Living. I love Rocky Mountain Oils way more than YL. This oil smells amazing and works very well for Immunity. After a long time young living oil fan I thought it would be hard to find anything else comparable. But Rocky Mountain oils is legit. I’m on my 4th bottle of immune strength because having a big family means lots of diffusers and bodies to use this oil on. I genuinely believe this oil aids in keeping us all healthy all year. Highly recommend.... especially if you use to use theives. LOVE, LOVE, LOVE, can NOT live without it!!! I have tried other essential oil blends similar to this - and this one is by far my favorite! This is a fantastic product and, for the quality, is priced way better than other brands. How is this different from the Sacred Immune Strength? BEST ANSWER: Hello Rochelle! Great question! Our Immune Strength contains Eucalyptus, whereas our Sacred Immune Strength contains Sacred Frankincense instead. Can you ingest thisboil and how would you do that? Great question! Our Lemon oil is Cold Pressed. is your lemon oil crushed peel lemon oil? Do you have a oil comparable to Thieves from Young Living? I have used both Thieves and Immune Strength. In my opinion...Immune Strength wins hands down. I diffuse this oil every single night while sleeping. I have a very high stress job and work long hours. Therefore, I get pretty beat down sometimes and can easily catch something. I believe the IS greatly helps me ward off a lot of things. When I do think I'm actually coming down with something, I rub the undiluted oil on the bottom of my feet and put on socks. Most times...it knocks the bug right out! I am NEVER out of Immune Strength! Hope my long rambling comment helps! Yes, Immune Strength is comparable to Thieves. They have it available in two strengths. The undiluted bottle is great for the bottom of your feet. It is hot though so it should be diluted before applying to other parts of the body. The diluted bottle with the roll on top may be used anywhere you wish. I've used both Thieves and Immune Strength and they seem to be very much the same. I strictly use Immune Strength now, as it's cheaper and you get free shipping. Is it safe to diffuse this oil around children (ages 5 and 1-1/2)? BEST ANSWER: There are some ingredients in Immune Strength that are not recommend for children under the age of 10 years. Please visit our RMO Kids page and Kids Line for more information on child safe oils. I have a 22 month old and a 3 month old. I diffuse this oil (and tons others) around them. Make sure to only use a couple drops and use it in a decent size room. Bedroom would be too small. If your rooms are small, you can crack a window, weather permitting. Yes. We diffuse all the time in our home. I have a 2 year old. My favorite blend! I haven't had any issues with it in the diffuser. I have a 1 and 4 year old. I have a 5 yr old and I diffuse it. I just found out that we should not apply immune strength to children under 10. Can we use sacred immune strength on children under 10? Thanks. BEST ANSWER: Yes, you can. Because we removed the eucalyptus from it and added Sacred Frankincense. Now, this blend is safe for kids 6 and up. I would say no. It's not the frankensce (which is the sacred part) that is dangerous. Probably more the clove oil. I read Immune Strength can be compared to "On Guard" or "Thieves Oil". Can this also be used for a kitchen cleaner or in toothpaste? BEST ANSWER: Immune Strength is a great blend to use for cleaning. However, we would suggest consulting with a professional before use in toothpaste. YES!!! I use it as a spray sanitizer. Just make sure to let it sit on for about a minute before wiping off. It is like thieves oil, I use it in toothpaste and on the bottom of my big toe when I get a sore throat. I haven't tried using it as a kitchen cleaner or in toothpaste, but I don't see why it wouldn't work. I use it for both and make a spray for disinfecting things around the house. Is this blend, as well as all other blends, neat or is it already diluted with a carrier? BEST ANSWER: Immune Strength 15 ml does not contain a carrier oil and is NEAT. If a blend is in a base of carrier oil, it will always be listed in the ingredients on the product page and bottle label. Thanks! It is a blend but it is neat as far as I know from the description. You need to dilute it with a carrier oil. I would use this with a carrier if I use it to childrenn. I believe this is neat oil (not diluted). How many drops are needed in a 300ml diffuser? BEST ANSWER: The general diffusion guideline is to use 5-10 drops total of E.O. per 100 ml's of water in a diffuser. Thanks! If this is a new oil to you and the family I would start out with only a few drops. Maybe only two or three to start with and add more if you and yours enjoy the fragrance. I use 6 to 8 drops. Is this safe to diffuse with kids? BEST ANSWER: The Immune Strength blend contains Eucalyptus which we do not recommend using until the age of 10. A good alternative would be our Sacred Immune Strength which does not contain Eucalyptus. Thanks! RMO-Team. Assuming the kiddo(s) in question doesn't have an allergy or sensitivity to any of the individual ingredients, it should be fine. Just remember it's a hot oil so if you choose to apply topically, you need to mix it with a carrier before applying. I have a friend whose daughter can't tolerate lavender - so you just never know. I diffused this for my six year old and it stopped his bedtime coughing almost immediately. He also loved the smell. Does the oregano stand out any, in this blend? I do not care for the smell of oregano at all. BEST ANSWER: Oregano is the 5th ingredient in the blend so it does not have strongest aroma. Usually customer get a whiff of the Clove, Cinnamon and citrus in the blend well before the Oregano. The clove bud and cinnamon stand out more in our opinion. I can not smell the oregano at all, didn't realize it was in the blend! Not really. I don't mind the scent of oregano though. Can I add this to dish soap? I would add a few drops. I know this blend is comparable to Thieves. And I know people that clean their kitchens with Thieves. Yes if you store it in a glass bottle. Do you put on your feet? Yes, I mix 1 or 2 drops with a couple drops of jajoba oil (or any carrier oil) and rub on the bottoms of my feet once a day. I’ve tried applying it other places, but it can burn a little, so the feet seem best! Absolutely! I diffuse the oil every night but if I feel like I'm coming down with a cold or something I put it on my feet, neat, and wear socks to bed. Works every time! Absolutely! If you are very sensitive, you can dilute with a carrier oil first (jojoba, coconut etc). You can also put in on your wrists and diffuse it. You can, as long as properly diluted. I also diffuse it and put in a spray bottle with water and rubbing alcohol for a room spray. I do put this on my feet, as it contains some "hot" oils. When used in diffuser, how safe is it for cats? BEST ANSWER: At this time, we have found insufficient research about using essential oils on domestic animals, including safety procedures and possible reactions. Because of this lack of research, we are unable to advise on using essential oils with pets. I know we have to be a bit more careful with cats. Of course the oil will be very diluted in a diffuser, but I'd hate to take any chances. I'd still consider to use it, but I was looking forward to having it in diffusers all through the house. Don't know about cats, but my dogs are in the room with me every night while the Immune Strength is diffusing. Thank you, Nicole. That is good to hear! I have a 12 pound dog. I use it daily in my diffuser with no problems. Has anyone used this on kids? I have friends who use Thieves from YL on their kids, and these ingredients appear to be mostly the same. We also have a great Kid Safety page on the website if you have question about age appropriate oils. I have used Immune Strength on my 6 year old for several years. I just dilute it. Works fine. I diffuse it in small quantities around my kids who are 4 yrs and 6 months but I donât use topically. Yes! I mix it with coconut oil and rub on their feet. Why does immune strength seem to leave a bit of a dark film/stain in the diffuser? BEST ANSWER: This could be brought on by the Citrus and Cinnamon that is found in this blend. With the darker essential oils in this blend, it is recommended to wipe your diffuser clean with a soft cloth after each use. But is it the formula that's used? I didn't have this issue with some of the competitor's immune oils. Because the essential oils being used are 100% pure and true to the plant, it is common for some oils to have a natural tint to them, especially for Cinnamon Bark and some citrus. It is hard to do a direct comparison to different companies blends as the ingredients are not the same. They are comparable the intent but not the same formulas. I'd guess that's the clove oil. You can get a cotton ball or pad and dab a bit of apple cider vinegar on it to clean out residue. The stain shouldn't be an issue, but the ACV is great for cleaning out any old scents. Hmmm... I use immune strength directly on my skin, not in the diffuser so i’m Not sure. I would think that one or more of the oils in the blend is probably a darker colored oil. It’s probably the cinnamon, citrus and clove oils! Can I diffuse this in my 1 year or 3 year olds room? I absolutely do. I think just use a little less than what you’d use in your room. I would definitely research before diffusing any essential oils around children! Know what is safe and how much. Immune Strength is very strong especially that it has oregano in it which is a hot oil. You don't want to irritate the very delicate throat, sinus, or lung tissue. Good luck and be eo safe!!! What carrier oil is best with immune strength? BEST ANSWER: Any kind of nut oil or seed oil will work as a carrier oil. We usually recommend starting with Fractionated Coconut Oil as it has no scent, does not stain fabrics, has an indefinite shelf life and remains a stable liquid consistency for easy blending. The previous formula came diluted with jojoba oil. Jojoba and FCO (fractionated coconut oil) are both good choices. I use coconut oil to oil pull. Can I use a drop of Immune Strength with the coconut oil to oil pull? The oil always get spit out after. BEST ANSWER: Unfortunately, we do not have information on oil pulling. I would say yes. I use it in my dental regimen. Works great for me. Can this oil be used as a hand sanitizer and if so what is the dilution ratio? BEST ANSWER: The general guideline for dilution of the Immune Strength blend for adults would be a 2% -5% dilution rate. Please use the chart for more information. Can you add this to water and ingest? What kind of cinnamon is used- cassia or ceylon? BEST ANSWER: Great question! It is Cinnamon essential oil botanical name Cinnamomum zeylanicum. Can I mix this oil with epsom salts for a bath? BEST ANSWER: Great question! As this blend contains hot oils, we would not recommend using this blend in a bath. If you do choose to do so we would suggest that you err on the side of caution and use a high dilution rate. What is direct diffusionexactly? Is it the same as diffusing in a room? BEST ANSWER: Great question! Direct diffusion means with someone directly in the line of the mist or in a small space with little air flow. BEST ANSWER: Good question! Thank you for reaching out! All of our essential oils are 100% pure, natural, therapeutic and organically grown. They are GMO-Free, GC/MS and Pesticide tested. I am new to using oils. Can I diffuse the immune strength oil around kids? BEST ANSWER: Excellent question! We do not recommend using Immune Strength until age 10. However if you choose to diffuse it, please practice the safe diffusion guidelines for kids. Is immune strength safe around pets? Under Safety, it says "Avoid topical use and direct diffusion with children under the age of 10 years. " May I know what is direct diffusion? is it different from just general diffusion in a room? My 1.5 year old child will be going to child care soon and I was thinking of using Immune Strength to help boost her immunity. BEST ANSWER: Great question! Because this blend has several hot oils in it, we would not recommend topical application or diffusion for children under the age of 10. Spruce is a great option to support the healthy function of the immune system until your child reaches the age of 2. For children 2 years and older we would recommend our Immunity kids blend. Looking for an oil to help my husband's psorasis. Will this one do the job? BEST ANSWER: Unfortunately, we cannot diagnose health conditions or make any treatment recommendations. Will Immune Strength help someone who has an upper respiratory infection? BEST ANSWER: Immune Strength is commonly used to support the healthy function of the immune and respiratory systems of the body. We encourage our customers to reach out to a trusted health professional regarding specific health concerns.